Guess what…it’s somebodies birthday today! (Hint…it starts with Go and ends with Voluntr!) 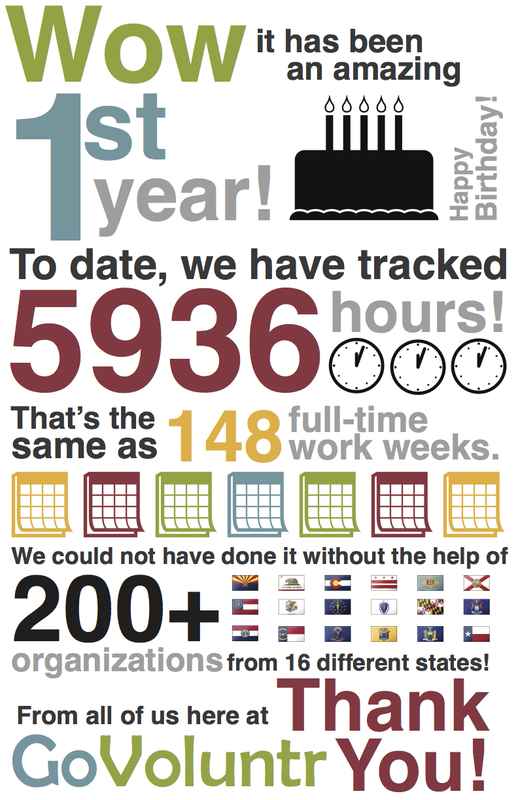 That’s right, we are turning one and we cannot believe it! It’s been an amazing first year and we have made a ton of new friends….like YOU! We could not have made it here without your help. To celebrate, we made a super fun infographic about the year. Here’s to another great year! This entry was posted in Events on July 22, 2012 by GoVoluntr. Thoughts, comments, and other ramblings from the folks at GoVoluntr and friends!